Each participant must have skates, a CSA approved hockey helmet and full cage to participate in these programs. No exceptions will be made. Parents do not go on the ice. Cutting Edge’s Learn to Skate Instructors will provide all on ice instruction. This program is designed to meet the needs of children with little to no skating experience. 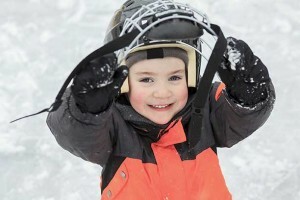 Basic skills such as standing, walking on ice and gliding will be emphasized in this program. Games, music, toys and teaching aids will be incorporated. Cutting Edge continues to offer the best value among all Learn to Skate programs in Halton. This program is designed to meet the needs of children with some skating experience and who have completed the Pre Learn to Skate class of Cutting Edge’s program. This program is the final step in your child’s skating introduction. It is designed to meet the needs of children with some skating experience and who have completed Cutting Edge’s Pre-Learn to Skate and Learn to Skate Level 1 programs.